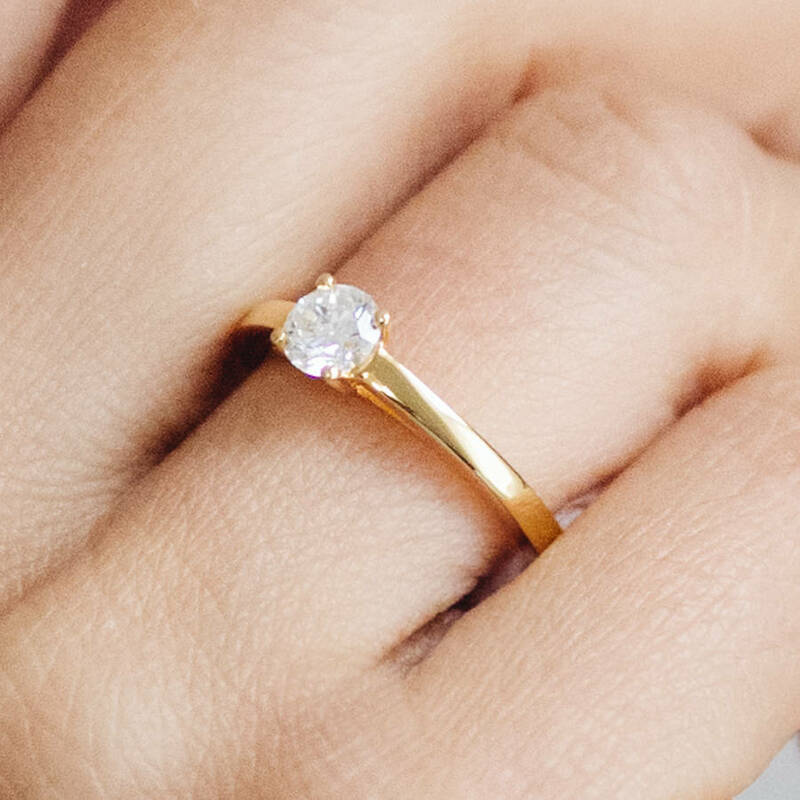 With its classic design of a single raised diamond, the Solar engagement ring will be sure to appeal to an elegant and sophisticated bride. This beautiful ring features an 18ct Fairtrade gold polished band, crowned with a round cut, ethically-sourced diamond in a size of your choice. 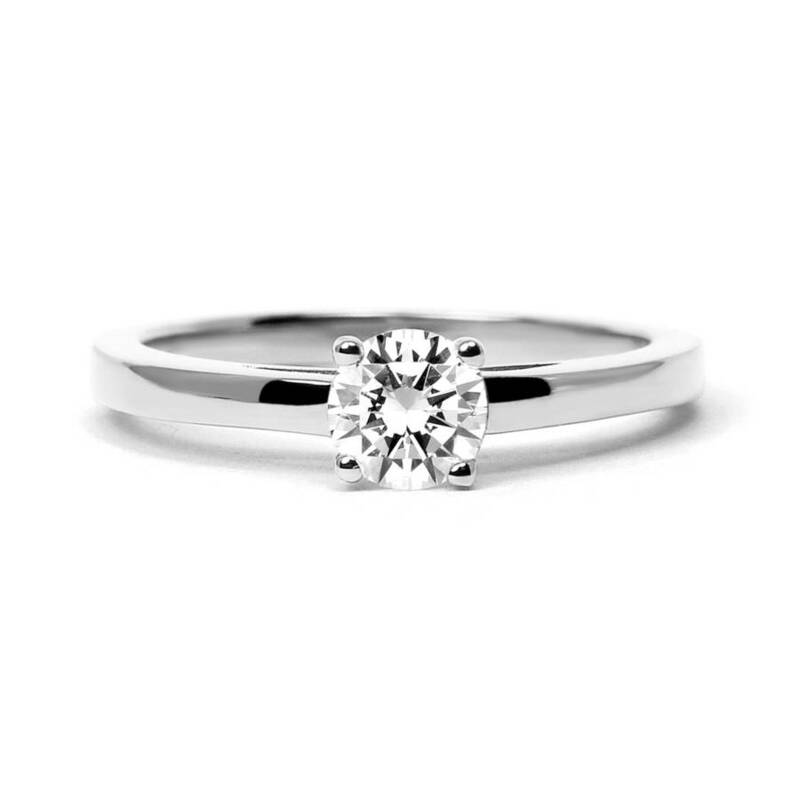 What better way to show your lasting commitment and love than with a truly beautiful ring? 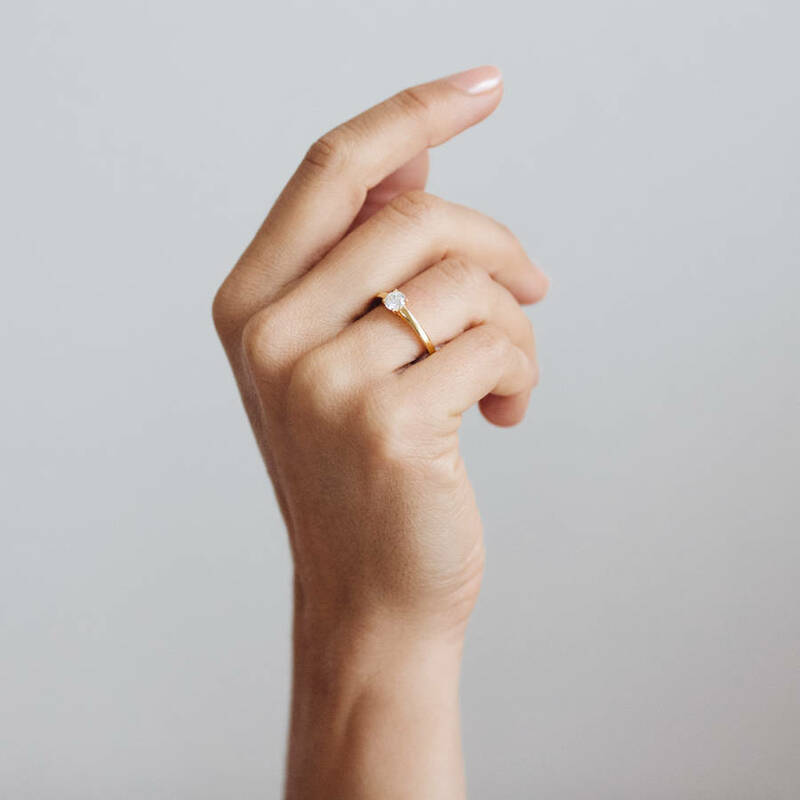 The Solar ring will arrive accompanied by a certificate of authentication to assure you that the most ethical materials have been used to create her lifelong ring. 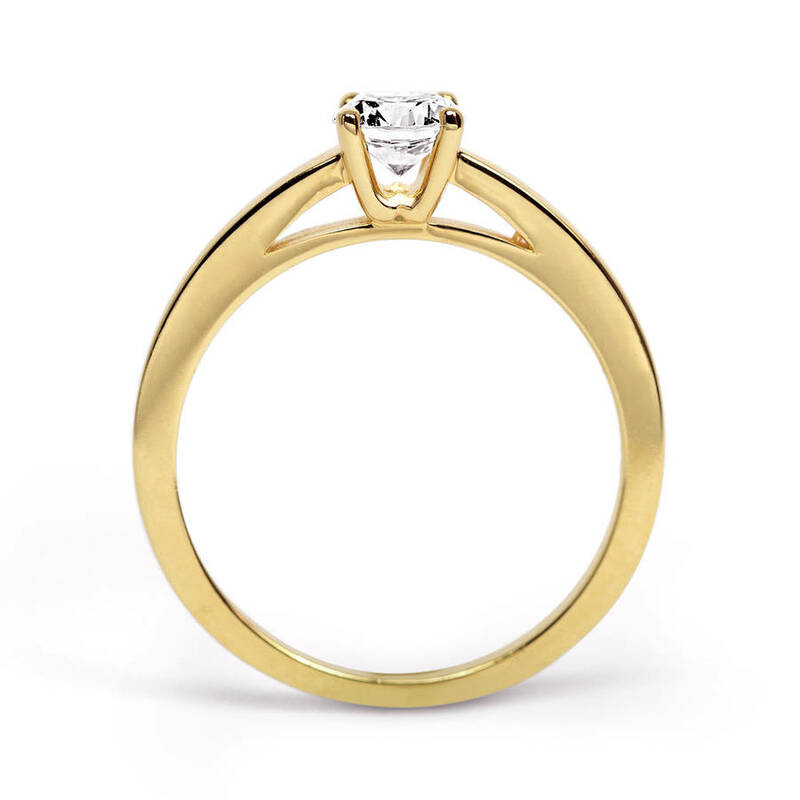 Available in Fairtrade yellow, white or rose gold, and with a diamond in a size of your choice. Use the drop down to make your selection! 18ct Fairtrade certified gold and a conflict-free diamond. This product is dispatched to you by Arabel Lebrusan.